Do you need to post bail for someone in Redondo Beach? A licensed bail bond agency can help you through the bail bond process. Premiere Bail Bonds (800-662-0056), a California-licensed bail bond agency, has been posting bail bonds in Redondo Beach for 11 years. We can help you obtain and provide the necessary information quickly, often over the phone or via fax. If it’s necessary to meet in person, we can come to you. You do not need to work with a bail bond agency to post bail in Redondo Beach. However, learning the proper bail bond procedures and locating the necessary information – bail amount, booking number, charges, court date, etc. – can be time consuming and stressful. When you call Premiere Bail Bonds toll free, 24 hours a day, you can have an experienced, professional and licensed bail bond agent working for you. 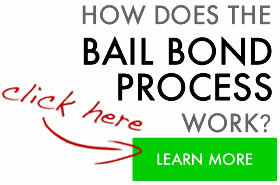 We can handle the entire bail bond process in Redondo Beach on your behalf. Many of the bail bonds we write are signature bonds. This means that you may not need collateral to post bail for your friend or family member in Redondo Beach. Your signature might be all we need, and in many instances we can obtain your signature via fax. To learn more about signature bonds in Redondo Beach, please call Premiere Bail Bonds at 800-662-0056. You’ll find that we’ve made the bail bond process in Redondo Beach much easier for you. Below you will find contact information for the Redondo Beach Police Department and Redondo Beach Superior Court, along with other helpful information provided by the District Attorney’s and Public Defender’s offices. For answers to all of your questions concerning bail bonds in Redondo Beach, Manhattan Beach or in Torrance, please call Premiere toll free at 800-662-0056. We are available to answer your questions 24 hours a day. For information about posting bail bonds in Redondo Beach, call Premiere Bail Bonds at 800-662-0056. If you need to post bail for someone in Redondo Beach, contact Premiere Bail Bonds at 800-662-0056. We can handle the process for you. The Redondo Beach Jail differs from most other jails in California, it holds people till their court date but you can have them bailed out before that. Allow our 20 years of experience in California guide you to the right solution that works for you and your loved one. Call us any time of day or night we are looking forward to helping you. 800-662-0056.